Every living being desires and seeks happiness. But what is true happiness and how can it be attained? There have been many authorities on Hinduism who have written various books in an attempt to answer these questions. Writing from their own experience, these different books appear to contradict each other. Reading them, no one is able to arrive at any decisive conclusion. In fact, most people become even more confused than they were to begin with. One of the remarkabilities of Prema Rasa Siddhanta is that it reconciles all these seemingly contradictory philosophies with such clarity that the profoundest spiritual wisdom becomes accessible to everyone. 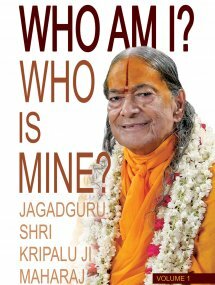 Even though knowledge of the divine science is limitless, in this little book Jagadguru Shri Kripalu Ji Maharaj has revealed the subtlest aspects of subjects such as The Aim of Human Life, The Nature of God, The Grace of God, The Soul, Material World and Detachment and The Paths to Attain God, etc. with such simplicity that even a newcomer to spiritual philosophy can understand them. 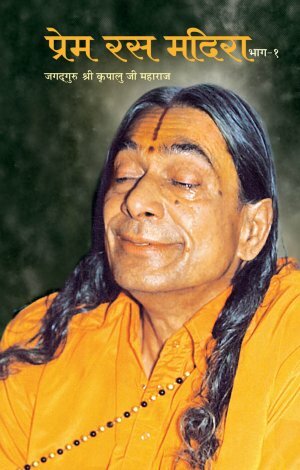 His lucid exposition of the Impersonal, Personal God and the Secret of Descension is most unique, and he has laid special emphasis upon the science of karmayoga, because every individual soul has to pursue his goal of attaining divine bliss while performing all his worldly duties. The subject matter is so comprehensive that all fundamental spiritual questions are answered and all doubts are dispelled. Besides quoting extensively from the Vedas and other scriptures, Shri Maharaj Ji uses practical everyday examples in order to benefit people from all walks of life. The resulting ease with which his directions are applicable to daily life is amazing. The Vedas and all other scriptures unanimously declare that the ultimate aim of every living being is the attainment of infinite, everlasting bliss. This infinite and eternal bliss is the Supreme Lord Shri Krishna, as established by scriptural statements such as raso vai sah, “He alone is bliss”. And yet that same Shri Krishna, the very abode of infinite bliss, is bound by His own most intimate power, a divine entity known as prema or divine love. Prema Rasa Madira has therefore been written from the perspective of attaining divine love, the supreme goal of every living being. The extraordinary range of unique divine pastimes that took place during Shri Krishna’s last descension 5000 years ago form the basis of these 1008 devotional songs. The emotive depictions of the sweetness permeating the sacred abode of God, divine love, devotional humility, love in separation, love in union and the child and adolescent pastimes of Shri Radha and Shri Krishna, etc. are in accordance with the narrations of the Vedas, other scriptures and the writings of the Rasika Saints. Sumptuously presented over two volumes, Prema Rasa Madira – Volume 1-2 includes explanations intended to assist readers to deepen their understanding of the sentiments expressed. 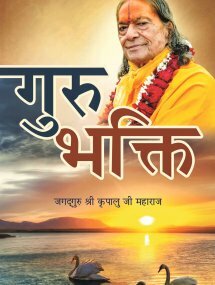 Jagadguru Shri Kripalu Ji Maharaj encapsulates the entire ocean of Vedic knowledge in a very succinct lyrical manner in Bhakti Shatak. 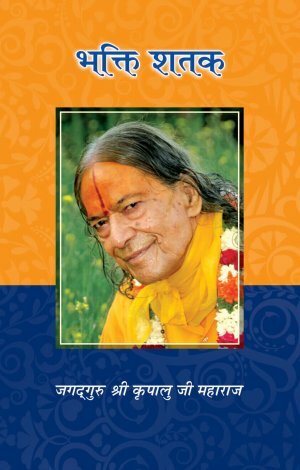 Describing the principles of the path of bhakti, these one hundred devotional couplets are gems of wisdom for any aspirant who desires to progress along the path of love and devotion. 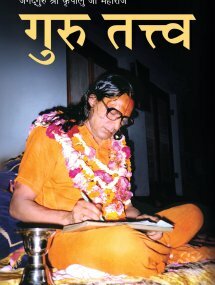 The inclusion of Shri Maharaj Ji’s own written explanations gives tremendous insight into the profundity of these well-articulated verses. The text begins by establishing Shri Radha as the Supreme Entity and the very Soul of the Supreme Soul, Shri Krishna. All aspects of God are delineated, including His innumerable energies and attributes, in such a masterly way that even a newcomer to spiritual concepts will find himself interested in loving the Lord. The text culminates to reveal that the Supreme Lord is bound by love, and it is through love alone that He can be attained. The only path to know Him – the path of bhakti – is beautifully described in the simplest possible manner. 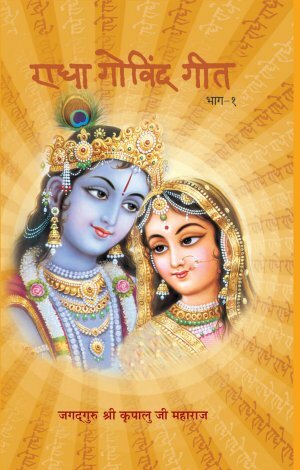 Radha Govind Geet is an encyclopedia of divine knowledge. 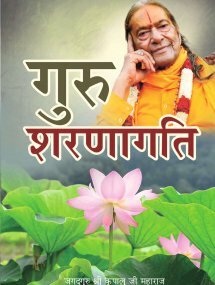 These 11,111 devotional couplets revealed by Jagadguru Shri Kripalu Ji Maharaj overflow with the essence of the philosophy of the Vedas and other authoritative texts, presented in a very clear and comprehensible style. The nature of the individual soul, maya and God and the differences between the three, the nature of Brahm, Paramatma and Bhagavan, the importance of the human body, the ultimate goal of the living being, the methods of attaining that goal, elaborate explanations of the paths of karma, jnana and bhakti, the characteristic traits of a genuine Saint, the nature of this world, the nature of God’s grace, the secret behind the process of surrender to God, the means of practicing devotion to Shri Radha Krishna and the nature of the goal – divine love, the practical form of devotional practice, insights into the divine entities know as Shri Radha and Shri Krishna, the ornamentation of Shri Radha Krishna, the importance of the holy name of God, the infant, childhood and adolescent pastimes of the Divine Couple, and various other topics have been clearly elaborated upon. The principles enunciated in these poetic verses are eternal, and their relevance and validity will always remain. 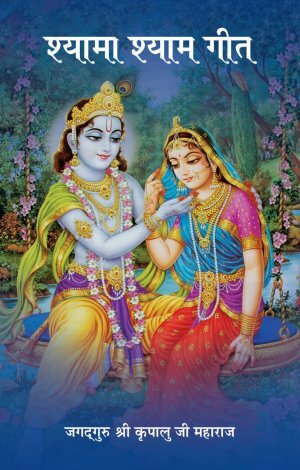 The true value of Radha Govind Geet as a devotional archive is therefore incalculable, ensuring it remains a splendid source of philosophy, devotion and grace for generations to come. 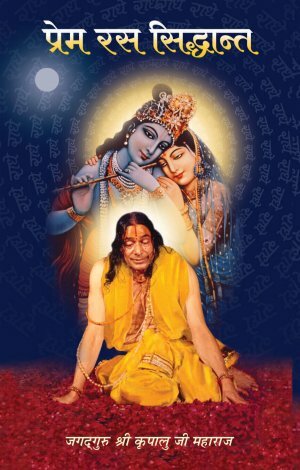 Overflowing with the sweetest form of transcendental bliss makes Jagadguru Shri Kripalu Ji Maharaj’s Shyama Shyam Geet an extraordinary devotional composition. 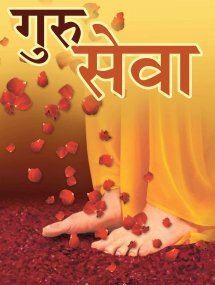 From the pen of this great free-spirited wordsmith comes 1008 melodious couplets that bring to light the most intimate of all loving pastimes of the Divine Couple, Shyama Shyam. Each verse is suffused with an all-enchanting sentiment of divine love. The evocative nature of these depictions simply inundate the heart, while the smattering of doctrinal verses have a deeply soothing effect on the mind. The highest and most relishable level of divine bliss is brajarasa, the unique bliss of divine love experienced by the great Rasika Saints during the last descension of Shyama Shyam. This is the core content of the text. In a beautiful poetical style we read elaborations on the oneness and simultaneous separateness of Shyama Shyam, due to Shyama being the personified form of the highest stage of divine love that causes Shyam to be completely fascinated for and subservient to Her love. We learn about the exclusive qualities of the love of the gopis, those topmost selfless lovers of Shyam and many other useful things for enriching our devotional practice. The subjects presented in Shyama Shyam Geet are in complete agreement with the teachings of the Vedas, Puranas and other scriptures, as well as the writings of various Saints.